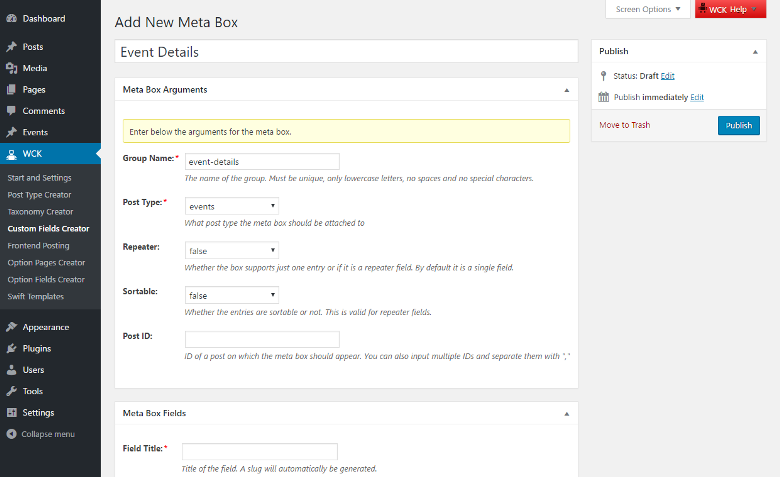 A Single Meta Box allows you to add one or more Custom Fields to a specific Page, Post or Custom Post Type. 2. 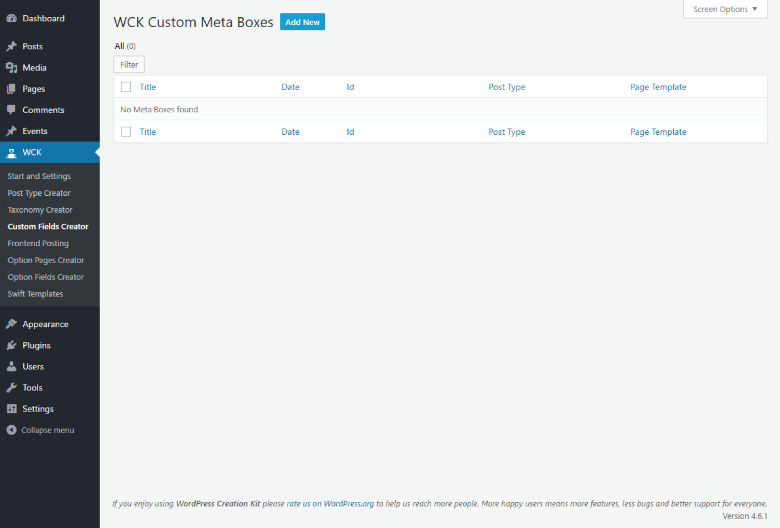 Click “Add New” to create a new Custom Meta Box for your Custom Fields. 3. Add a Custom Meta Box Title (e.g. Event Details) and fill in the Meta Box Arguments. For a Single Custom Meta Box make sure to leave Repeater set to false. When you’re done, go to Meta Box Fields to add your Fields. 4. 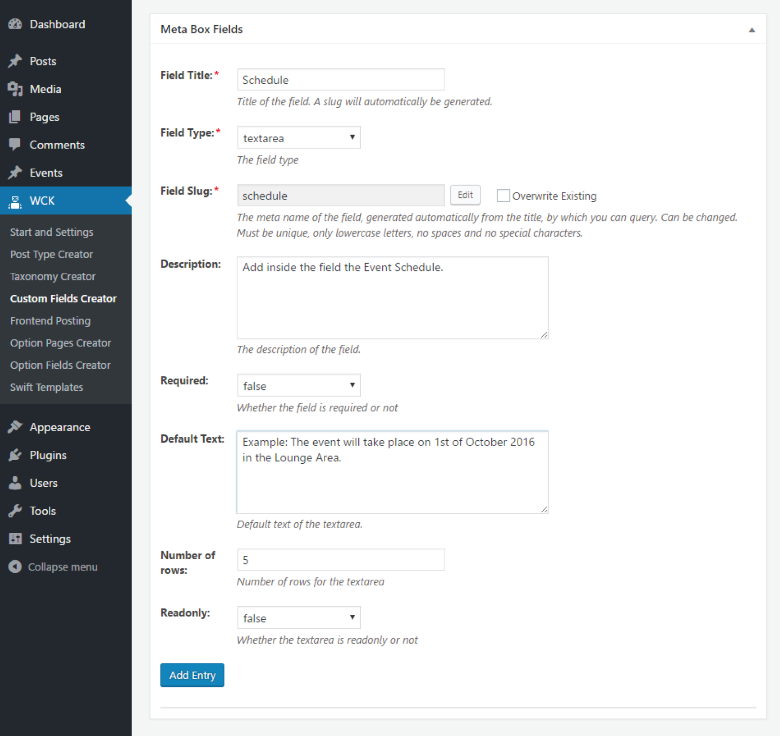 After, under Meta Box Fields tab insert the Custom Fields, one entry at a time. 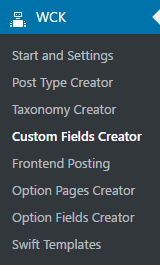 Make sure you specify a Field Title and a Field Type for each Custom Field. After you are finished click on Add Entry. 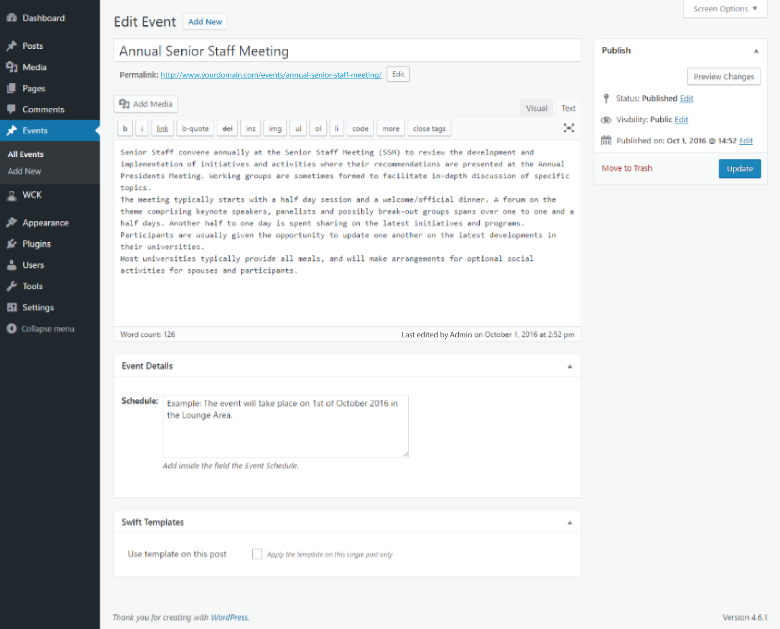 Now, under each “Event” Post Type, you’ll have the Meta Box appearing with all the Custom Fields you created.